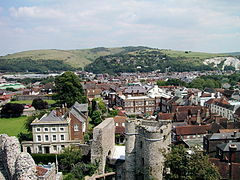 Lewes is the coonty toun o East Sussex. ↑ "Town population 2011". Retrieved 12 October 2015. This page wis last eeditit on 20 Juin 2017, at 00:09.